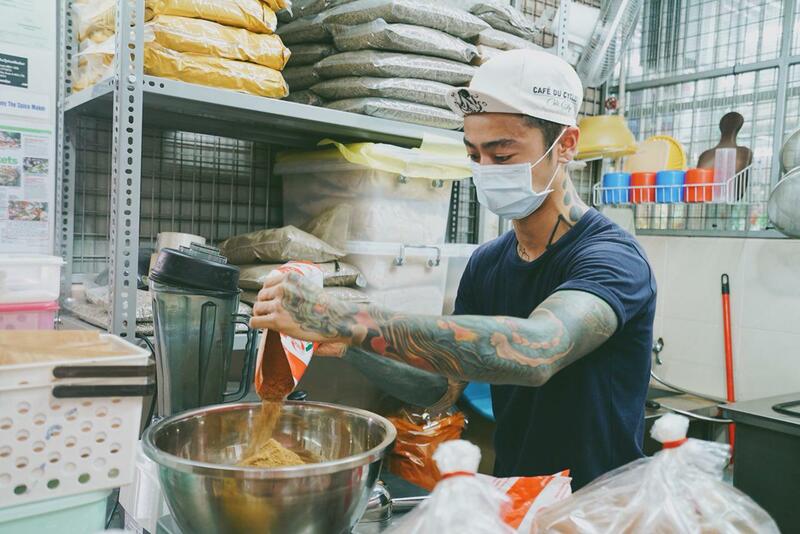 He’s a 28 year old Spice Maker in Singapore. 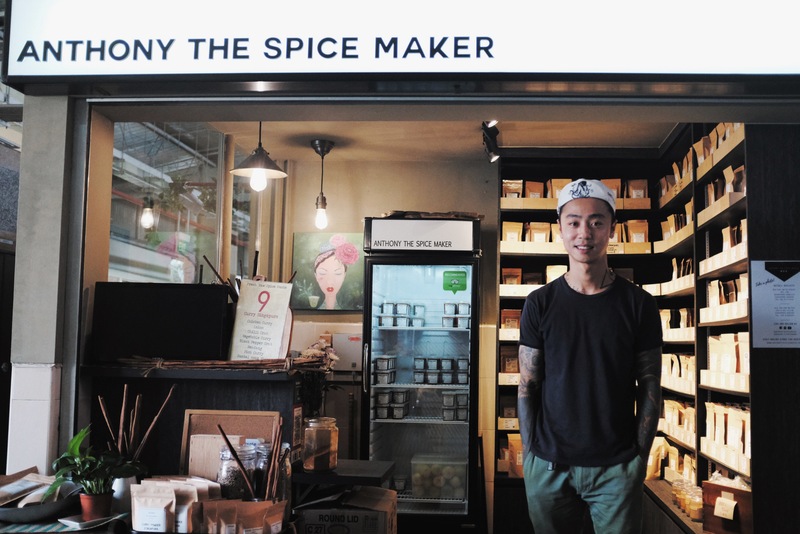 Anthony the Spice Maker is a hipster looking spice shop tucked away in Ang Mo Kio’s wet market. At first glance, anyone would think it’s a fancy stall selling tea leaves or coffee beans. Take a closer look and you’ll realise that it’s a shop selling spices. If you were to ask any millennials whether they cook, 70% would probably say no. Eating out everyday seems like an easier option. If you ask me to replicate my mom’s home cooked dishes, I’ll probably give up and order McDonald’s instead. Heck, I bet half us don’t even know the names of the different spices to begin with. 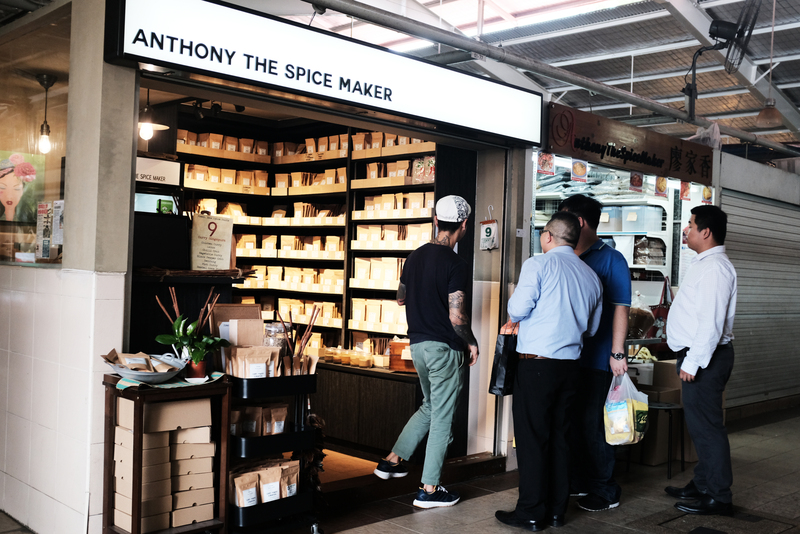 So that’s where Anthony The Spice Maker comes in. He makes cooking easier for all you millennials out there who are learning how to cook. The store was first started by Jack’s grandfather in 1986. After completing his National Service obligations, Jack was finally hit with the realisation that he needed a job. That’s when his father, Anthony, told him to join the business. Since then, Jack has been running the Ang Mo Kio outlet while his father runs the one in Chinatown. Naturally, a first time cook will feel intimidated stepping into this shop. Jack will come to your rescue. 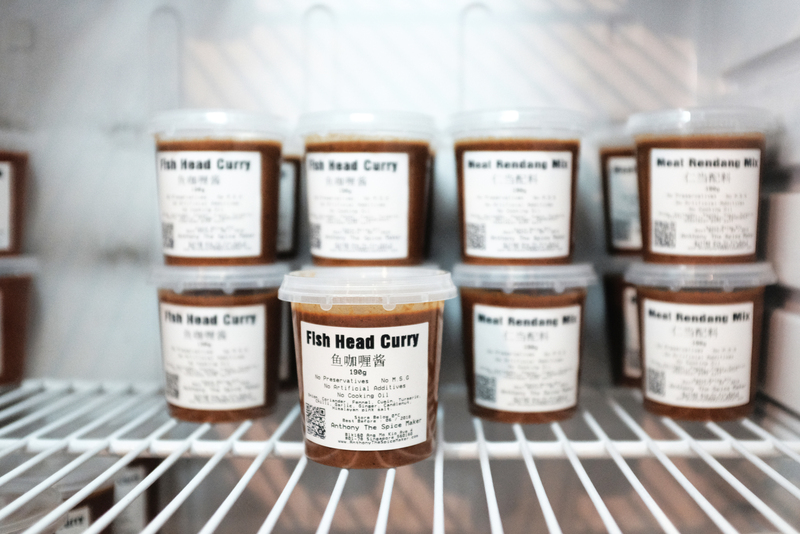 If you’re a newcomer, he’ll take his time to explain the differences between the ready-made rempahs that are available in the fridge and the dry spice blends that are packaged nicely in those brown paper bags. 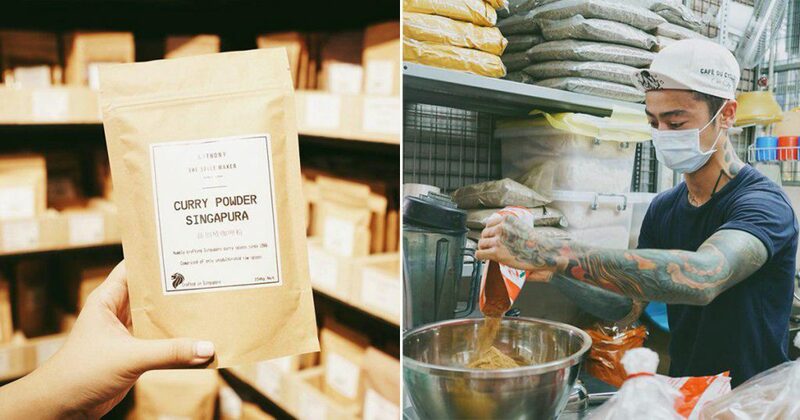 The spices that he sells are perfect for busy young couples or home cooks. If you’re working a 9 – 5 job, you know that all you want at the end of the day is a quick simple meal. He explains that if you’re someone with a busy lifestyle, he’ll recommend the ready made rempah which is crafted for time-starved customers. He prides in the fact that he uses high grade spices to make his rempahs. No preservatives, M.S.G. and artificial additives are used in the making of his rempahs. So if you’re health conscious, this is the healthier option as compared to buying those instant rempah you can get at most supermarkets. 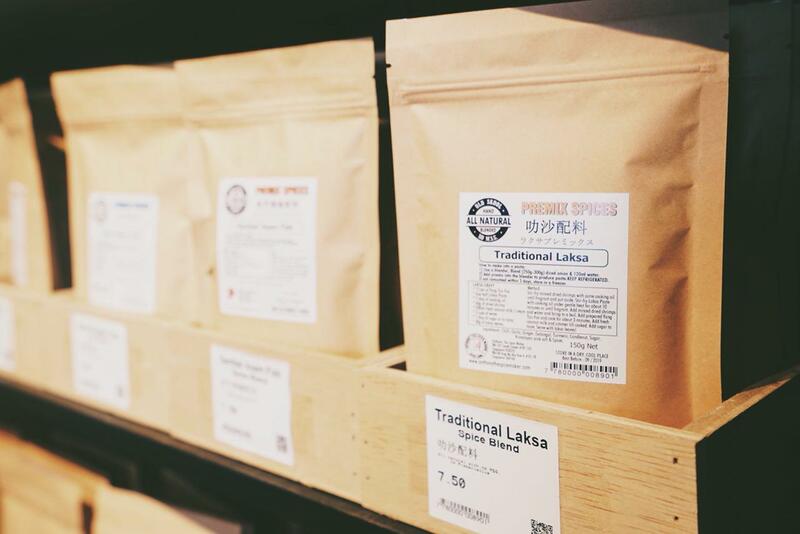 If you’re a slightly advanced home cook and you trust that people won’t get food poisoning from your cooking, he will recommend getting the dry spice blends which you can use to adjust to your preferences. 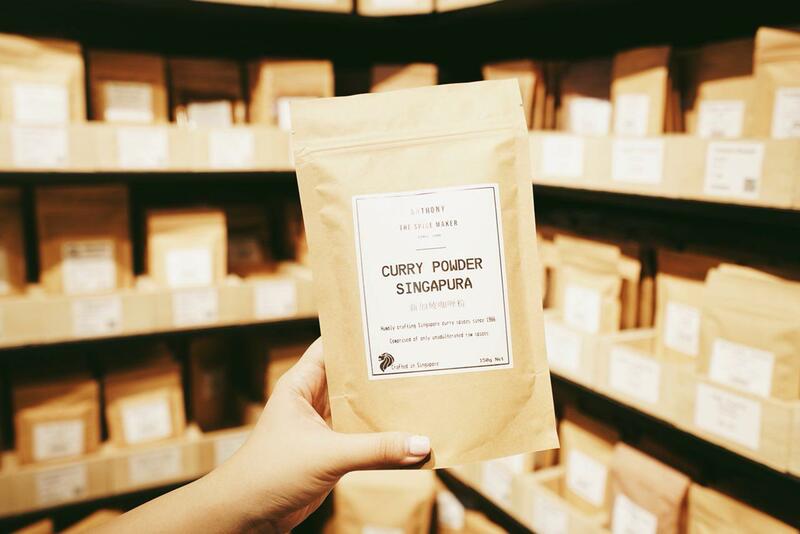 We heard that their best selling Curry Powder Singapura has quite a bit of a kick to it! Best part, his spices are basically dummy-proof. Each packaging comes with a label that lists the ingredients and an instruction that explains what it is used for. While the spice blends and rempah are available online, I highly recommend going down to the outlet instead. You’ll be able to interact with him and get a better understanding of what you’re buying. 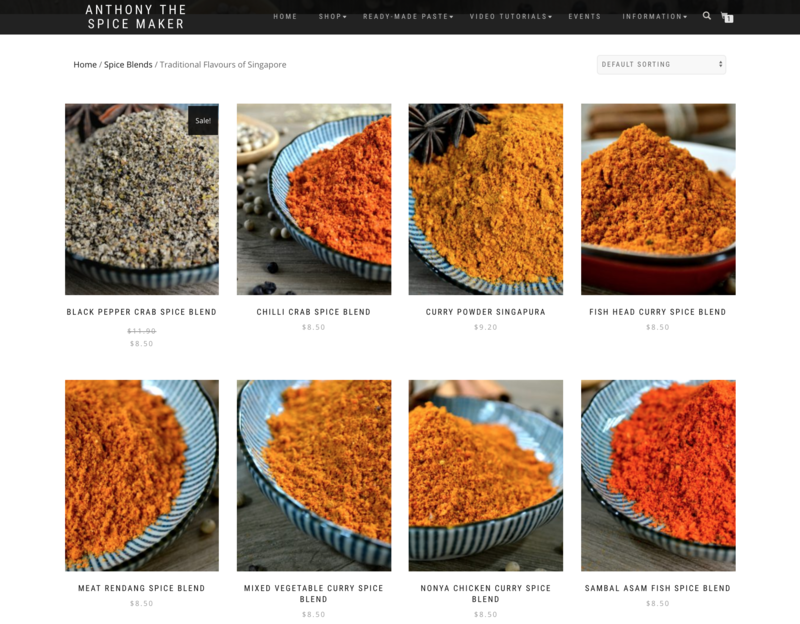 However if you are pressed for time, you can check out the available spices online. In fact, if you know anyone who’s missing home cooked flavours, they ship their spices as well. And with the nugget of knowledge that Jack has passed to me, I left the place satiated with the information through my one hour conversation with him. Maybe, wet markets aren’t so bad after all.